Building based lighting continues to dominate the bulk of VEEC creation each week. 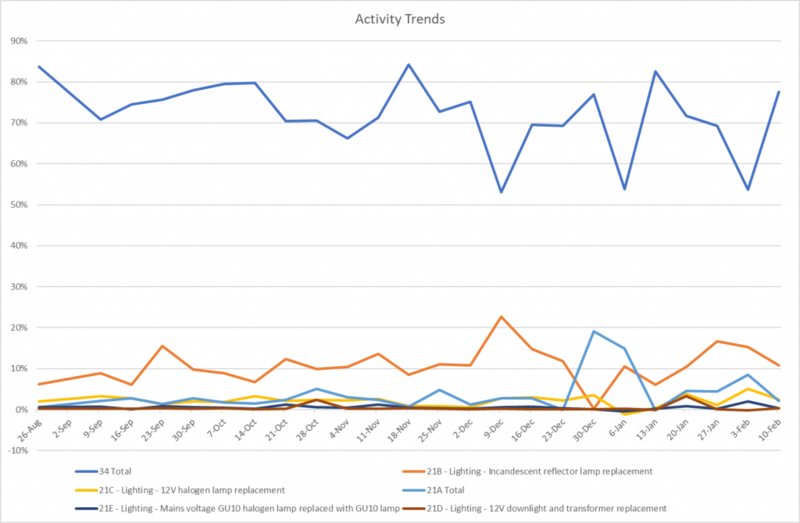 As can be seen from this graph below, building based lighting upgrades account for between 84% and 54% of total VEECs created each week. Recently, 21B has been the next highest contributor (<20%) followed by 21A (<10%) ignoring very low creation weeks around the Christmas break. The VEEC spot price was $18.00 COB Friday, up $1.75 from the previous Friday on the back of market speculation last week. 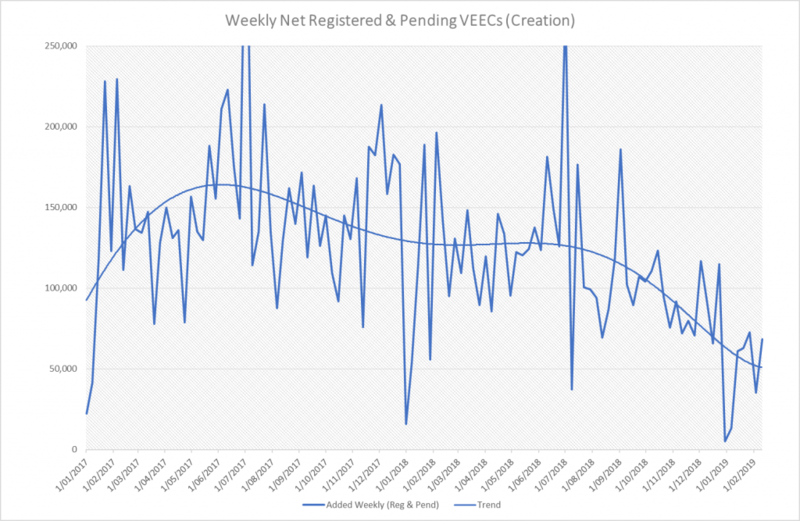 The graph below shows the overall trend of total VEECs created each week.